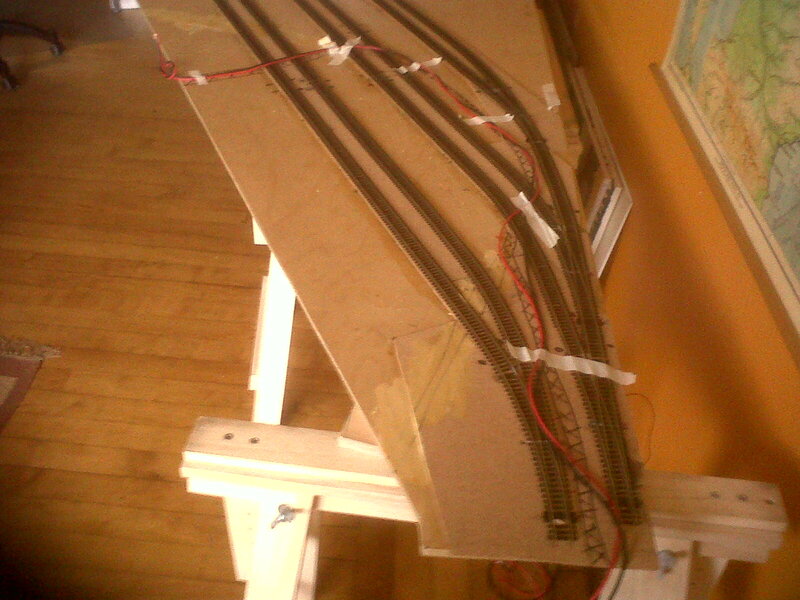 I'll be laying a cable (a pair in fact) beneath the baseboard which will carry power to the circuit. 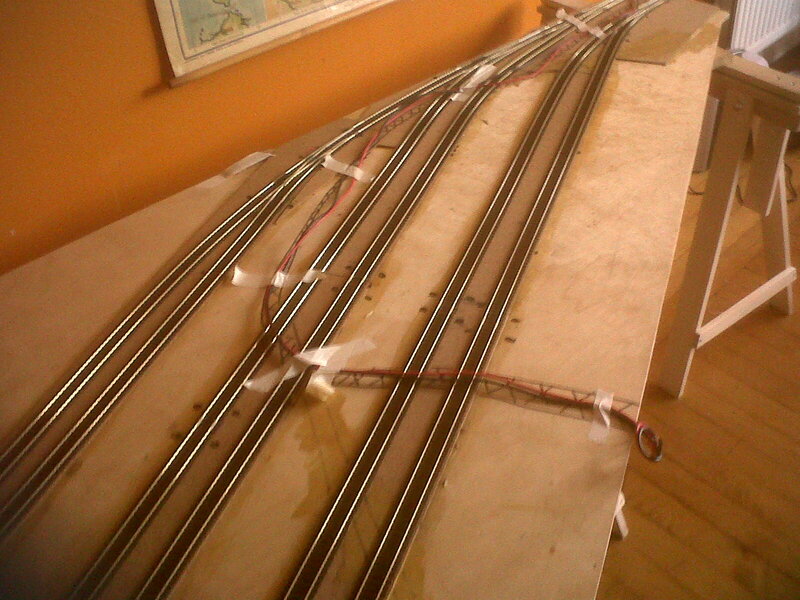 From that cable (or Power BUS) feeder wires will carry electricity to each section of track and each set of points. 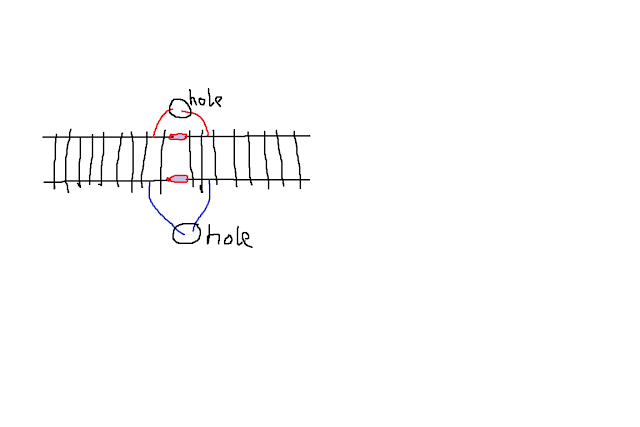 Although the sections of track are joined together by metal connectors (see diagram below) and thus electricity to one section should conduct via these connectors to the adjoining sections, it is recommended to feed power to each section separately. So, in the diagram below there are feeder wires connected either side of the connectors. The wires then descend through holes in the baseboard to be connected to the power BUS below. Therefore, I considered the location of the connections between lengths of track and the location of the sets of points and drew in a cross-hatched double line across the board to give me an idea where the power BUS should be routed. I then taped the pair of cables that make up the power BUS along the path of the cross-hatched guideline.The idea being that it should pass fairly near to all of these above mentioned places of connection so that the feeder wires could be kept as short as possible. Ultimately, the power BUS will be routed beneath the board. 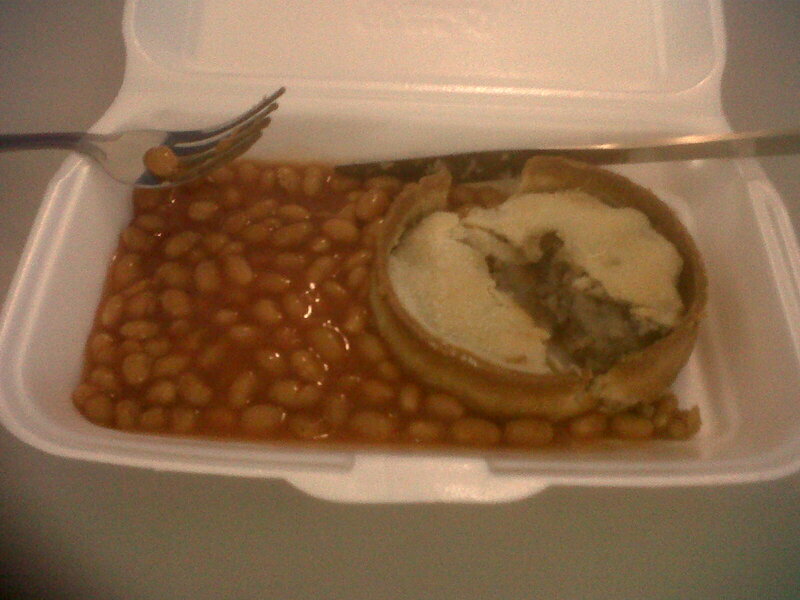 But I wanted to get an idea of how things would look. Surprisingly, some very famous pianists appear not to have recorded Les Moments Musicaux - at least they are not available on iTunes. eg Jorge Bolet (1914 to 1990) a Cuban pianist. 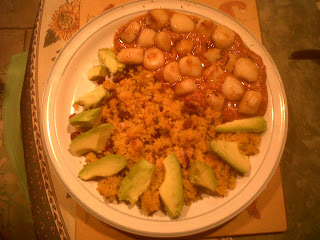 Last night's dinner: scallops, cous-cous and avocado.